We have a few ideas on some easy to achieve things that you can do and added an idea of the timescales involved in doing these tasks. 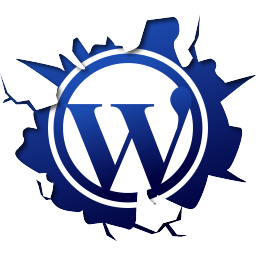 Many people now use WordPress websites – they are accessible, cheap, and easy to maintain. Make sure though, that you have administration privileges for your own website – it’s surprising how many web developers retain this function and fail to pass it onto their clients. To check if you have administration privileges, on your dashboard you should see an UPDATE heading in the menu, and/or a highlighted number next to PLUGINS. Click on these and install any updates outstanding – this is the first thing any outsider will do if you call them in to resolve your website issues….so you might as well do it yourself! As noted above, things change over time…which means that any external links (i.e. from your website to other websites) will also change over time. Your website won’t flag these up. You can check them all yourself manually – easy if there aren’t many. Or, you can ask your web developer to check in the Google Developer section, where the Search Console will now automatically flag any broken links. Does your website load promptly? Does it load correctly across a range of devices? If not, the chances are it is something to do with your images, especially when these are viewed on handheld devices and need to be resized or reconfigured. Housekeeping. Very boring. However, very essential if anything goes awry. If you have a service contract with your web developer, they should take care of this for you, but always best to check how regularly your site is backed up, especially if yours is a ‘fast-moving’ sales business. A monthly backup is ideal unless you are constantly updating your content then perhaps ask for weekly or daily backups. Most websites (if not all) have an embedded response to a ‘Call to Action’. Put simply, in the CONTACT page, there will at the very least be a form where a website visitor can make enquiries. A website should not be a static tool – it should grow and evolve along with your business. At its very simplest, this could be merely posting a new blog, writing new testimonials/case studies if your business hasn’t changed at all, through to adding fresh content to reflect new business lines. Remember that Google (other search engines are available!) rewards sites which refresh their content, and hence effectively penalises ‘static sites’ which are never changed. How should people search for you when they went to find you? This goes deep into the very essence of your website; i.e. what is its purpose…what are you seeking to achieve? So, you may want to have a good think about this before starting to optimise your website for SEO purposes. Easy first step – ask friends/customers how they would search for your product/services online? If you’re happy with your website and don’t envisage changing it in the near future, at least check out Tips 1-5, or ask your web developer to run an update. However, if your business has started to outgrow your website, it’s probably best to start with Tips 6-7 and rewrite as appropriate before starting to optimise with Tips 1-5. So, at the very least cast your eye over this list of New Year Resolutions to improve your relationship with your website…if only to reassure yourself that you are getting along fine. Otherwise, if it all goes wrong, you only have yourself to blame! Kehorne are always happy to discuss any of the issues you are having with your website – feel free to call or email us if you have any questions.